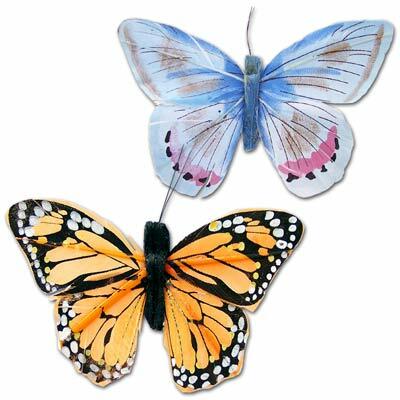 These colorful, weather resistant butterfly clips replicate the most popular species and can brighten up any area: indoors or outdoors. They can be clipped onto plants or bushes, curtains, drapes or in your hair. 2 pieces per package.